This is one of the most beautiful videos we’ve come across in a while — of a magical and mysterious animated instrument strumming away on its own. But after watching it over and over and come to a realisation. This needs to be made a real thing, people! Maybe the guy behind that strange marble music machine could do it? Or this 42-string Linda Manzer Pikasso guitar is along the right lines. Humans have taken people to the moon, so this surely isn’t outside the realms of possibility. 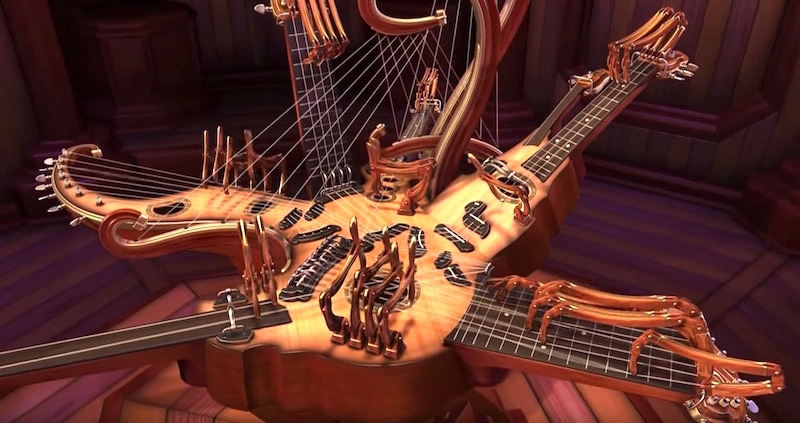 Made out of nine different instruments, the animated version of the instrument is totally automatic. Yeah, the fingers are a little bit creepy. But imagine showing it off to your friends.